It's a conundrum which a lot of schools are facing in current technology: our netbooks (which we bought hundreds of when they were cheap and worked) are dying. What do we replace them with? Do we go down the iPad route? Expensive but slick. Complicated but cool. Do we look at other tablets? Difficult to control and easy to get confused with. So maybe laptops? Big, bulky, expensive laptops. But also available on the educational devices market is the Google Chromebook, manufactured by a variety of companies including Samsung, Acer and, most recently, Asus and available for under £200. The Google Chromebook is simply a web browser (Google Chrome) with a keyboard; there is no hard drive and it relies very heavily on an internet connection. It sounds like nothing special but it has two important qualities which make it a hot contender for classroom use. Firstly, it is incredibly easy to use. So easy, in fact, that out of the 30 Chromebooks I have in my room, there are at least 20 that I have never had to even touch; the children set them up and use them seamlessly. 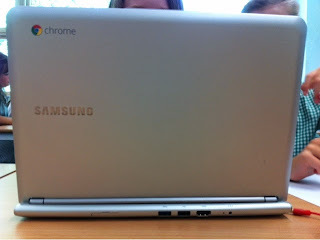 A TA, who has struggled with using the Windows netbooks connected to the school network, is often seen using a Chromebook to check her email. The children are able to troubleshoot themselves and found their way around the simple interface at lightning speed. Secondly, it is reliable and fast. Think back to the last time you used some form of technology in your classroom, especially if it was netbooks. How long did it take to get every child/device logged in and onto a web browser? 5 minutes? 10? 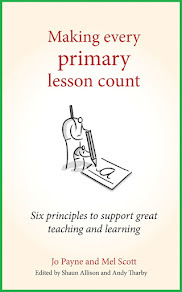 Or, like some teachers in my school, a whopping 20 minutes before every child is ready for the learning? We've rigorously tested the Chromebooks around the school to find out whether they improve those times. Generally, they take about 18 seconds from turning them on to being able to surf the net and it has never taken more than 2 minutes for the whole class to get on the relevant activity for the lesson. As teachers, when so often we decide against using technology because of the fuss that comes with their use, that makes them ideal. Simply, they are great for anything you can do on the web. They cope well with Flash-based games and activities and are perfectly designed to work with Google Apps for Education (including Drive, Mail and Blogger). 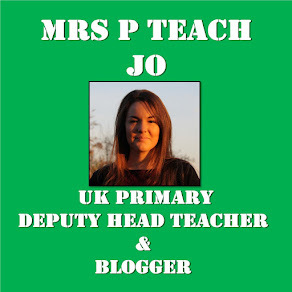 As a school already set up with Google Apps for Education and logins for all the children, we made incredible use of the Drive, Mail and Blogger apps. In Drive, we collaborated on documents and the children created their own which they shared with me. I was able to leave comments for them and they could respond or resolve them. They used the Mail app to keep in contact with me or for me to share quick messages or links and they wrote blog posts using the Blogger app to post to our Year 4 Vale blog. Honestly, I think there are far too many positives with the Chromebooks and I believe they are brilliant classroom tools. However they are not for everyone and there are plenty of activities which cannot be completed using them. 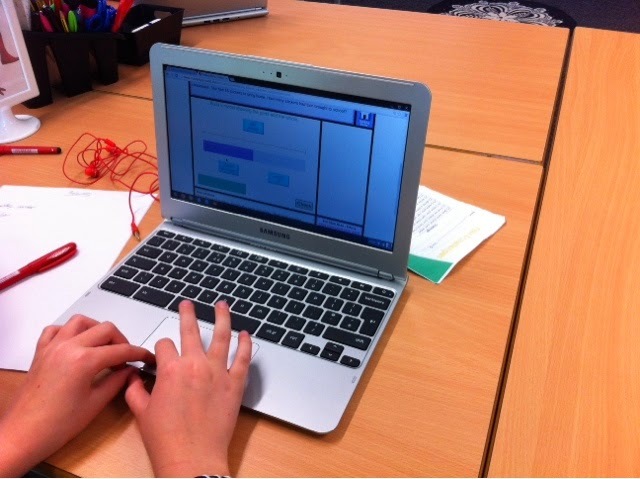 If the children use programmes which are installed on your school network then you may struggle with Chromebooks. Thankfully, a lot of the computing programmes are moving online however some control programmes are installed and so would become unusable with Chromebooks. The same can be said for things like Maths Packs or installed games. Apart from that, the only other negative point would be that they don't seem as sturdy as the old netbooks however I can't comment on how easy they are to break as ours are still fully in tact and have not needed to survive any trauma - we look after them. I notice you use Scratch online as one of your resources. I too have done so, but if you have a few minutes, I'd recommend you take a peek at J2Code. Similar, but different and also free. My Y5/6 have used both and are leaning towards J2Code as their preference. It is such a great opportunity for schools that I want to make sure every single school in the UK is aware of this competition. Is there anything you can do to share this with your network? We have had over 100 for 2 years now and have found them to be very reliable and exactly what we were after. No real issues at all so I still highly recommend them to people who are after something different to tablets.